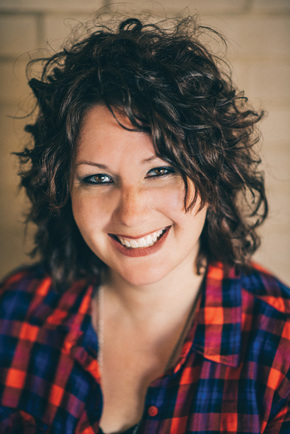 Jaime Jo Wright is the Christy Award-Winning author of The House on Foster Hill. She's also the Publishers Weekly and ECPA bestselling author of two novellas. Jaime works as a human resources director in Wisconsin, where she lives with her husband and two children. To learn more, visit www.jaimewrightbooks.com. This book was unlike anything I've ever read and I just couldn't put it down! We are introduced to two women in two different eras in Pleasant Valley. Don't let the name of this town fool you - there are strange things that have happened and that people believe that has put a cloud over this town for a long time. Thea Reed is a post-mortem photographer who arrives in town at the time of Mary Coyle's death. So much mystery revolves around this family and Thea is taken down a strange rabbit trail of intrigue and strange occurrences. The curse of Misty Wayfair is a strange thing that hangs over this family and community. I found this part of the story very interesting as I didn't know much about post-mortem photography. I had no idea they had frames on which to prop the person up so a photo could be taken. It was quite amazing. Heidi is a woman who is basically trying to be anyone but herself. She is a free spirit who really doesn't want to be. Her family has made her feel like she's strange and that she doesn't fit in with them. When she gets a letter from her mother that piques her curiosity, she travels to Pleasant Valley to find out what her mother has to tell her. 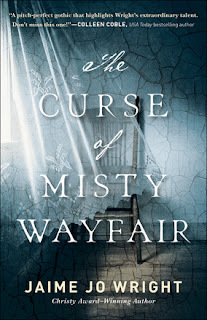 This opens the whole Misty Wayfair curse again as Heidi starts seeing a strange, white flowing figure in the woods. This book had so many twists and turns and was so suspenseful! I was never quite sure what was going on and there was a great surprise ending. I really love this book and highly recommend it if you like mysterious suspense. It was a great book! I give it 5 stars. *I received this book from Bethany House. I received a copy of this book to review but I was not financially compensated in any way. The opinions expressed are my own and are based on my observations while reading this book.